Providing you the best range of heat reflective roof coating and water proofing elastomeric coatings with effective & timely delivery. Heat Reflective Roof Coating is a ready to use Cool roof coating, when coated on the roofing materials, reflects sunlight to a greater extent and prevents the roofing materials from getting heated up, even in peak summer afternoons. 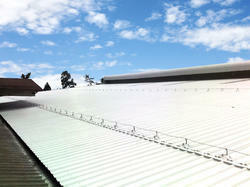 Since it works on the principle of continuous rejection of UV and IR Rays, the roof itself is not getting heated up. So the air below the roof never gets hot, keeping the rooms cool and comfortable. This prevents the buildings for a longer period, extending the life of the buildings. In air-conditioned areas, an attractive power saving of upto 40% can be noted during peak summer. 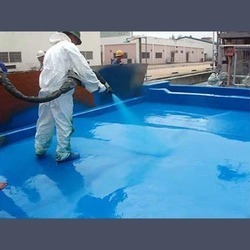 We are the prominent manufacturers and suppliers of a wide range of Water Proofing Elastomeric Coatings to our clients. We offer these in various specifications and can be properly customized as per the specifications provided by the clients. Our ranges of these are fabricated using superior quality materials that are procured from reputed and certified vendors of the industry.